U.S. Sen. Lisa Murkowski says she would consider supporting new legislation to protect Robert Mueller’s investigation into Russian meddling in the 2016 elections. 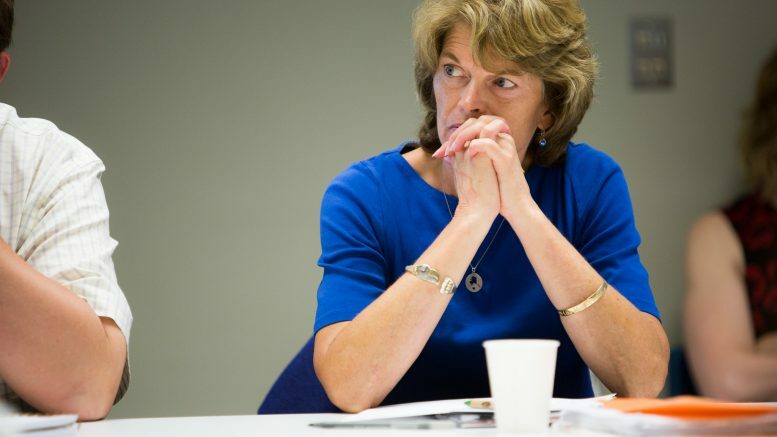 Murkowski’s comments were included in a report by Politico on new legislation introduced by a faction of Republicans who are openly concerned that President Donald Trump may attempt to fire Mueller (by firing Deputy Attorney General Rod Rosenstein). Murkowski’s comments are framed as an “unmistakable” shift in tone for GOP senators who have generally been reluctant to say there’s a need to protect Mueller from being fired. It also comes amid news that Trump is edging closer to firing Rosenstein, a first step to removing Mueller as special counsel. It’s believed the legislation will reach a vote in the Senate Judiciary next week after Chairman Chuck Grassley agreed to put it to a vote. Still, the legislation isn’t without its skeptics, which includes GOP leadership and Alaska’s other senator. Be the first to comment on "Murkowski could back bill protecting Mueller: ‘Sure just wish we weren’t in this place in the first place.’"